The Section 10 Las Vegas community sits on the west side of the valley. It received its name from its legal designation actually. The area is bordered by Desert Inn, Buffalo, Sahara and Rainbow Boulevard. 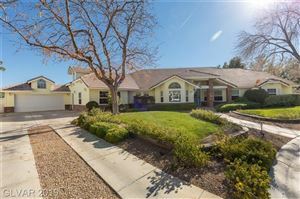 It contains only custom Las Vegas homes on half-acre or larger lots. There are no association fees except in some of the gated cul-de-sacs. This is the only community in Las Vegas that is comprised solely of half-acre or larger lots with custom homes. If you want a home with plenty of space, and want to break free of the cookie-cutter housing community model, Section 10 is the ideal option. The adjacent Sections, 4 and 11, also have similar style homes on large lots. This neighborhood is very convenient to the Strip and airport with no need to get on a freeway. Looking for space to grow? Section 10 may be the perfect Las Vegas community for you and your family. As you visit other neighborhoods in Clark County, you will likely notice a severe lack of yard space. For years, housing developments in Southern Nevada have pushed homes closer together and shrunk down yards. Some new homes come with virtually no land at all. The neighborhoods of Las Vegas Section 10 offer something completely different. No home in Section 10 has less than a half-acre of land and many have more. 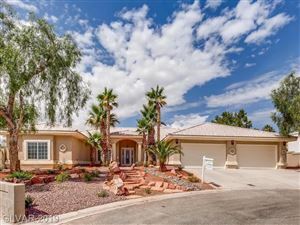 If you are looking to enjoy your property, add large additions such as a swimming pool, and spend time with the kids outside, then a luxury home within the Section 10 community is the right choice for you in Las Vegas.